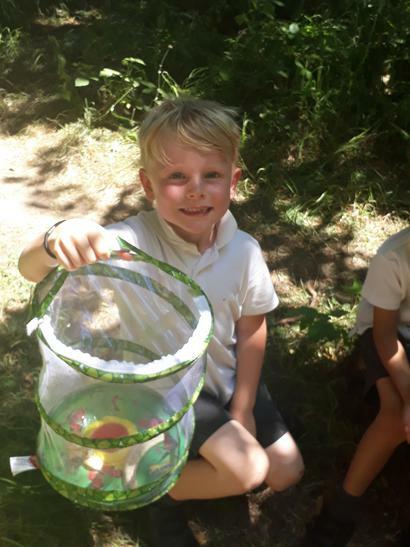 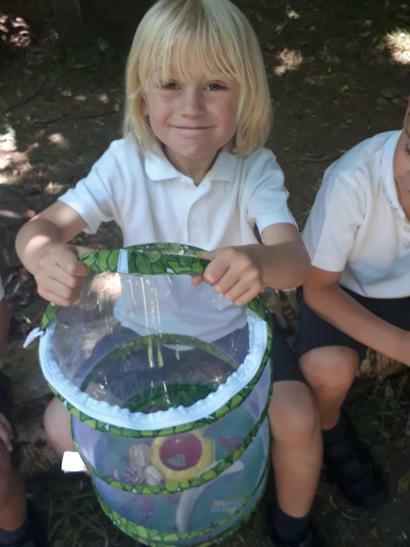 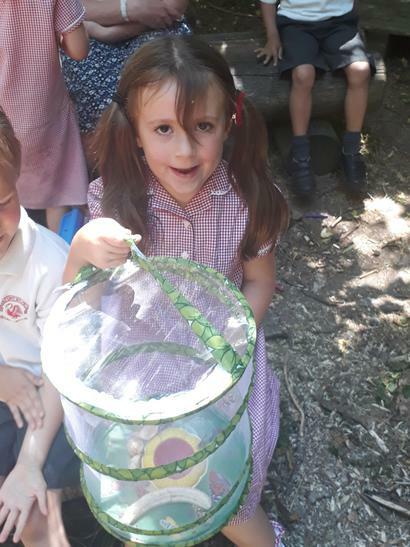 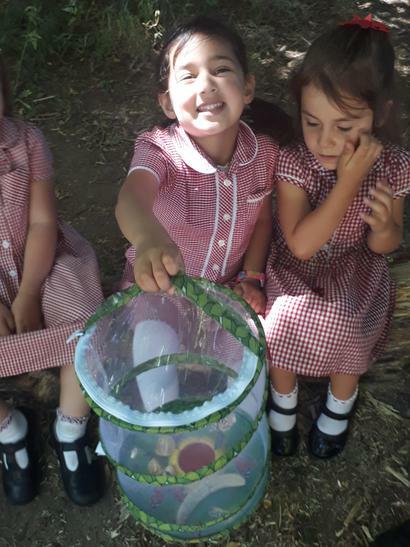 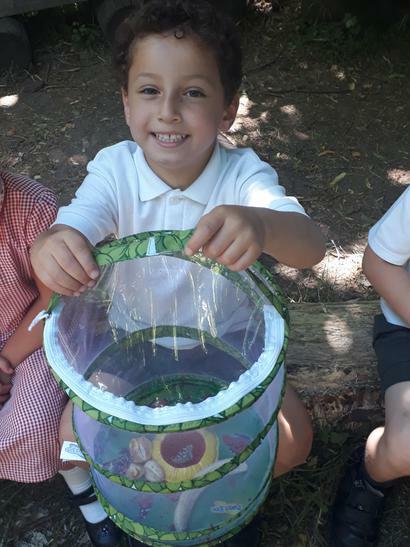 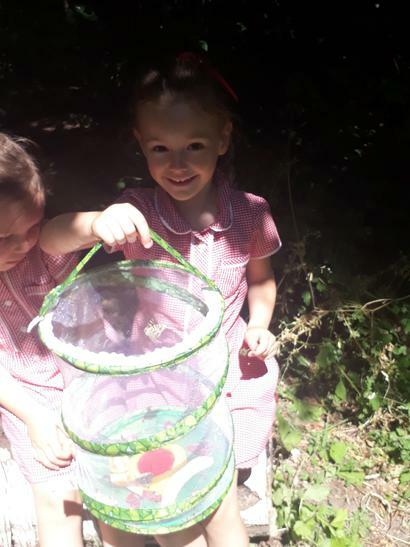 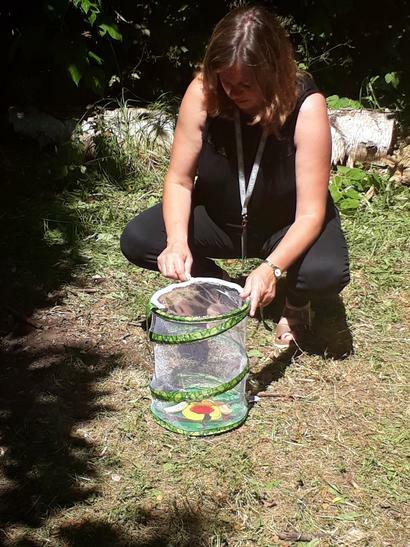 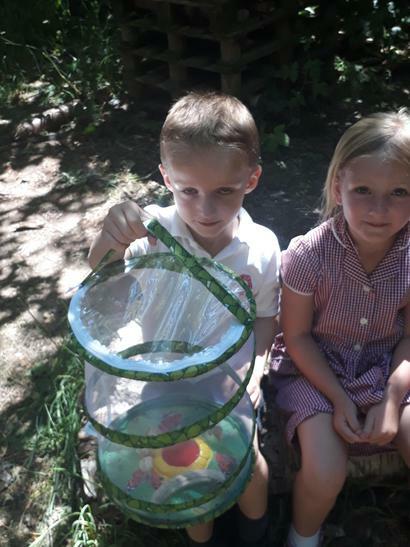 Today was a very exciting day for Willow class; we released the butterflies! 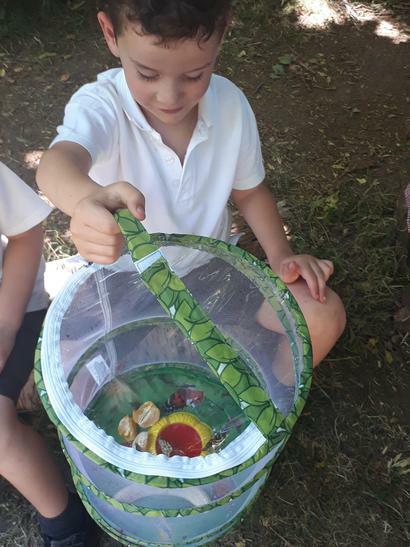 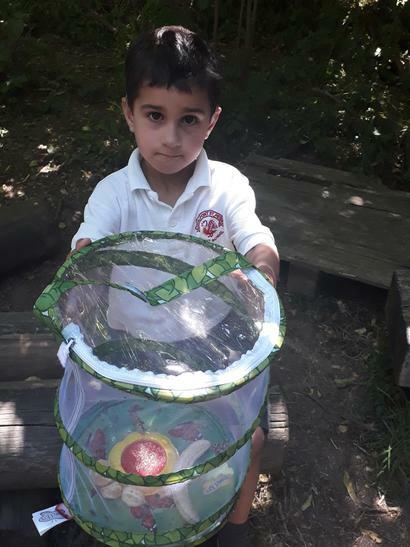 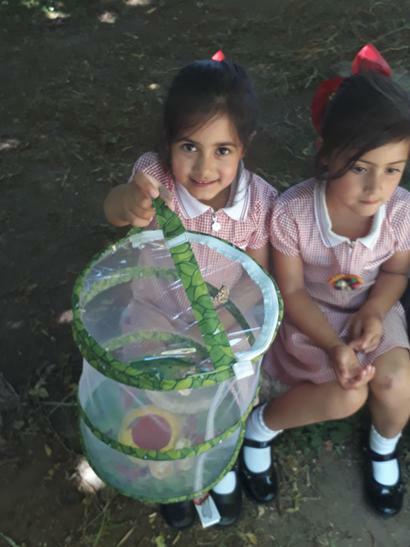 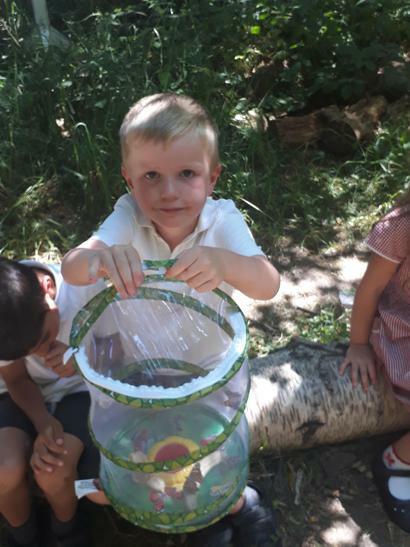 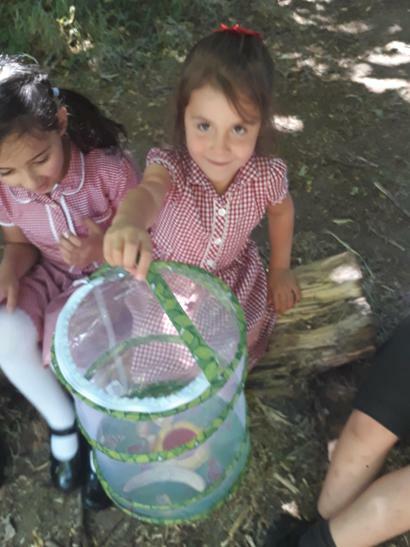 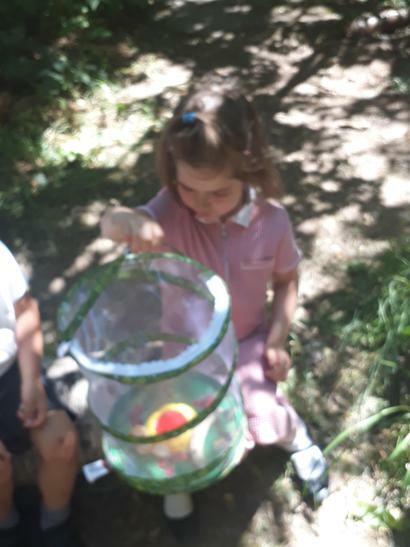 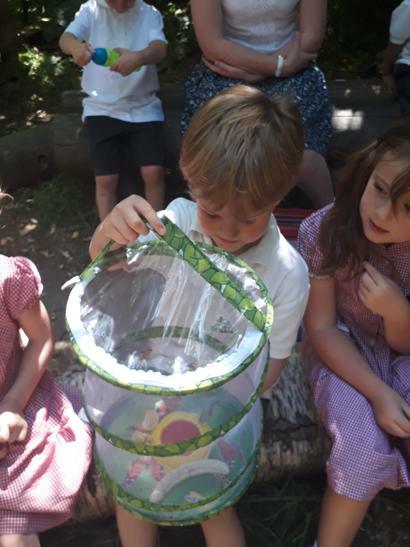 The children have learned about the life cycle of the butterfly, watching the transformation day by day from the small caterpillar state all the way through the metamorphosis to a butterfly. 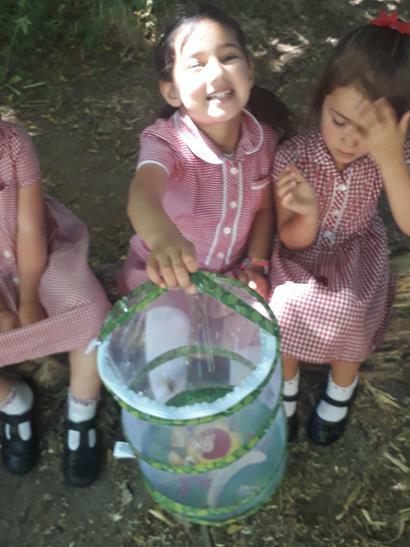 We have observed how the caterpillars ate, moved and how they changed features including colour as they grew. 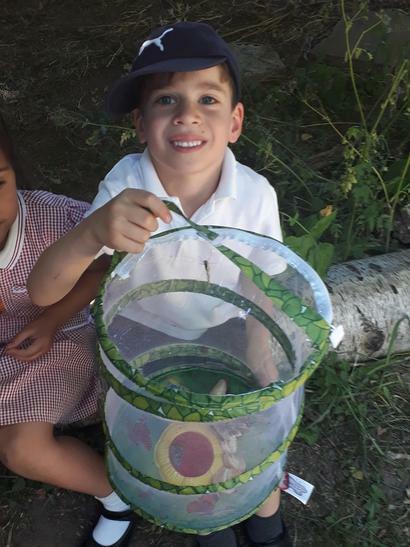 Each day we checked the caterpillars until they transformed into a chrysalis. 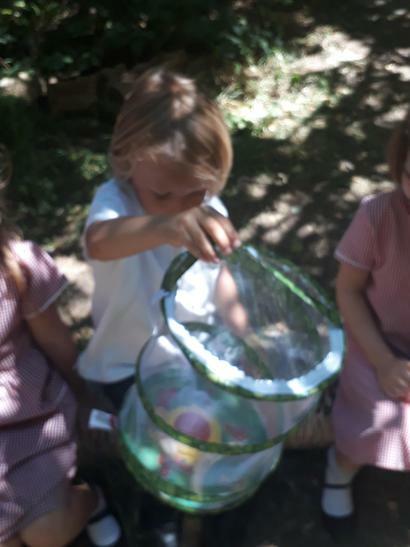 Once they reached this stage we carefully put them into the net and waited for them to hatch. 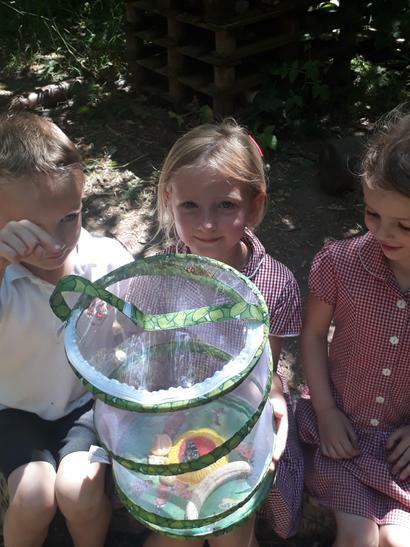 Due to the hot weather this happened quicker than we expected and Thursday last week they hatched out during playtime. 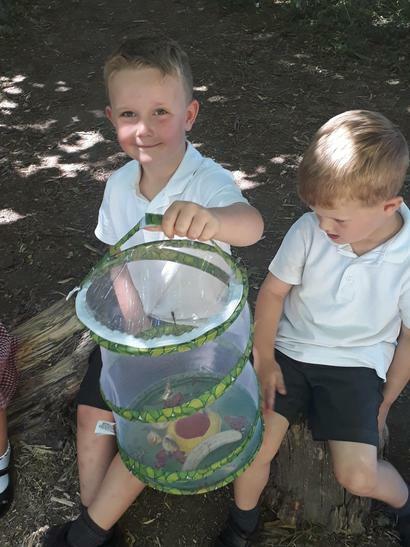 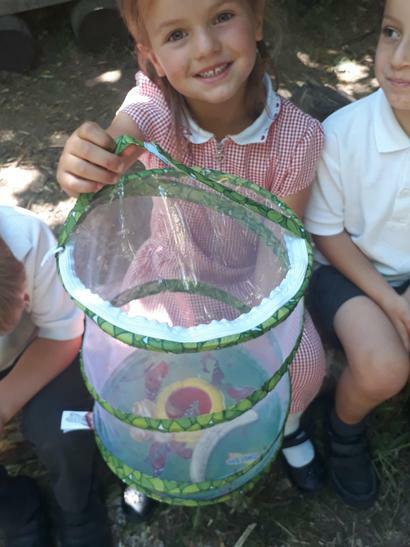 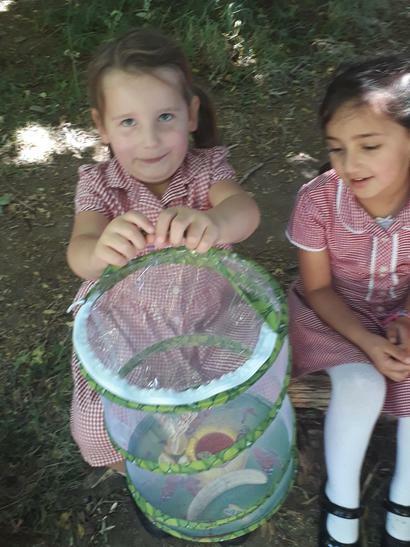 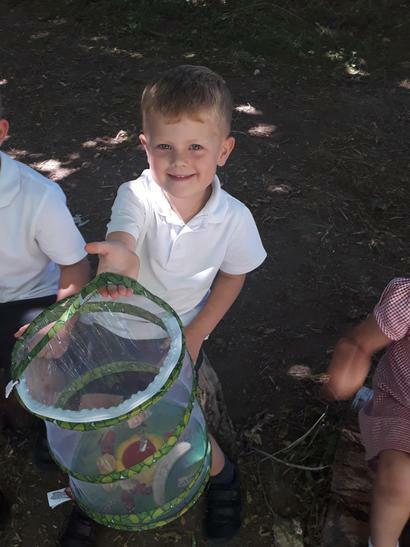 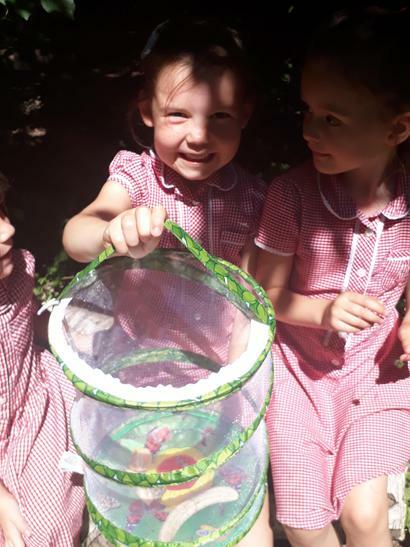 The children were delighted to come back into the classroom and watch as the butterflies wings dried and they began to fly in the net. 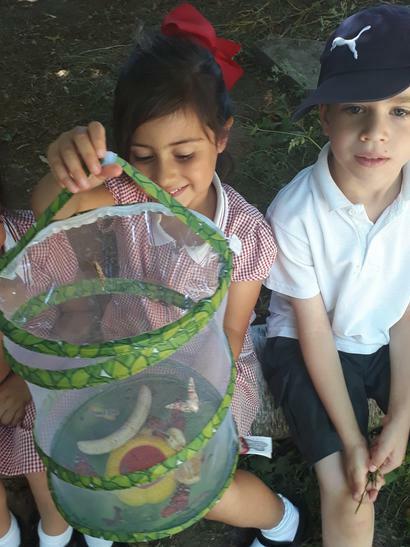 We fed them with some of the fruit left over from snack time and talked about what butterflies would eat in the wild. 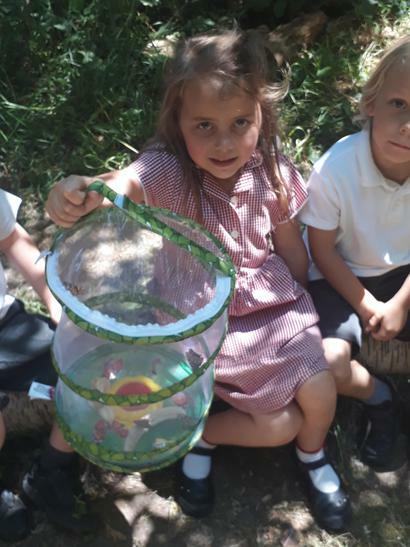 Once the butterflies were strong enough we decided to let them go in the environmental area. 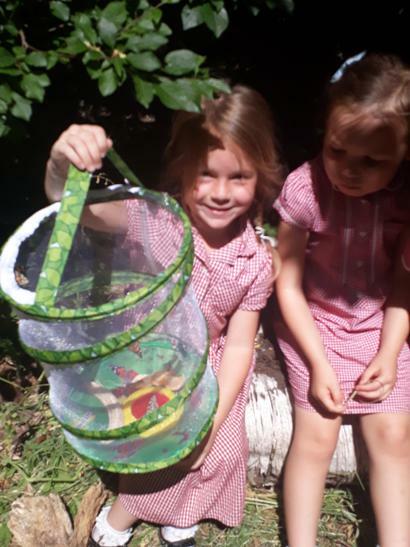 All the children got the opportunity to have one last goodbye before we released them into the wild.